We're commemorating 2018 fall tour with a tee featuring a bunch of greasy animals. 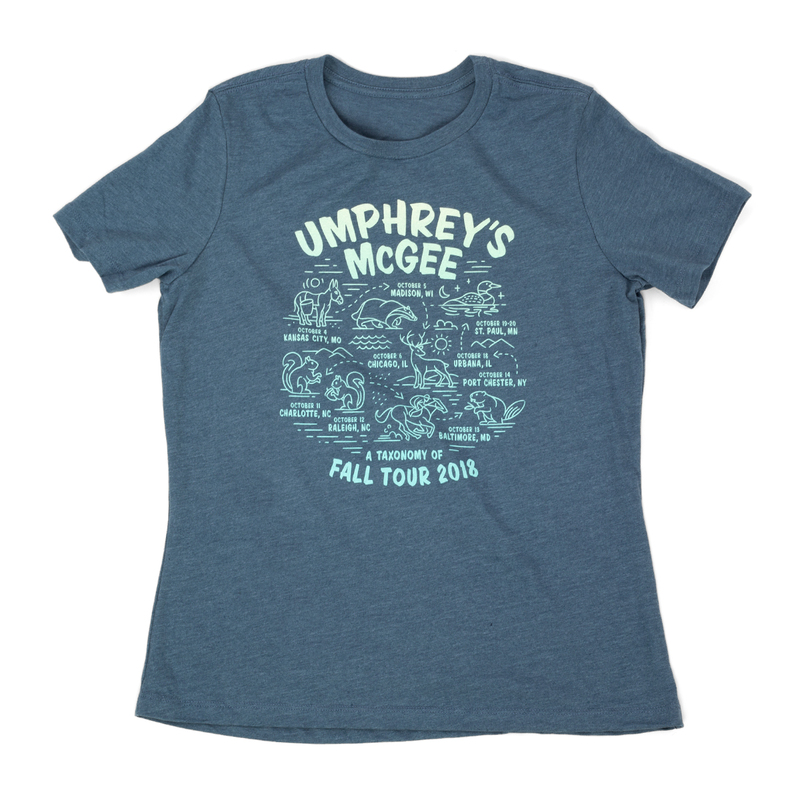 The "taxonomy of fall tour" includes illustrated state animals for every stop, and comes on an ultra-soft loose fitting ladies cut tee. Love the graphic of all the greasy animals from fall tour! The shirt isn't as fitted as all the other UM women's shirts that I own from over the years. For that reason gave it 4 stars. Would still highly recommend for any fan!